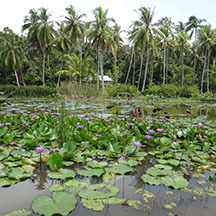 Won over by the fascination of Pulau Ubin, many volunteers have come forward to offer guided walks and cycling tours of their favourite place. 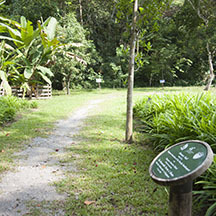 Why not join one of these walks for a great personalised introduction to Pulau Ubin? The volunteers are not only enthusiastic, but most are also very experienced and can show you more of Ubin that you could on your own. Kampung Tour by the Ubin NParks volunteer guides. more. for the latest events in Singapore and Pulau Ubin. Need help organising an activity on Ubin? 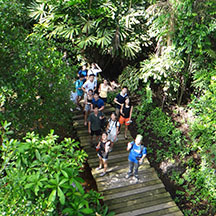 Want to organise a nature walk, company outing, school field trip or other activities at Ubin? Here are some nature guides and groups that organise nature events in Singapore, including Pulau Ubin.